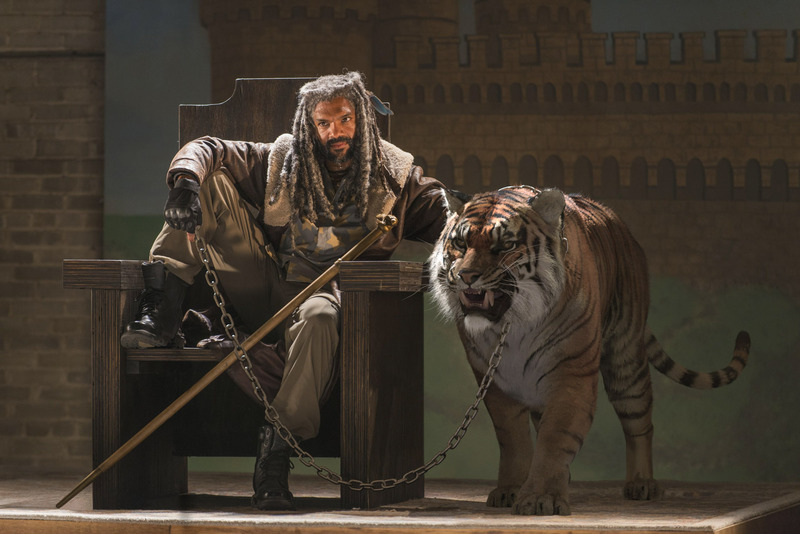 The Walking Dead - Ezekiel and Shiva. . HD Wallpaper and background images in the the walking dead club tagged: photo the walking dead season 7 ezekiel 7x02 shiva. This the walking dead photo contains anak harimau, harimau, harimau bengali, and harimau benggala. There might also be harimau, panthera tigris, and harimau betina.